Women of Horror: Catherine Corcoran: (Long Lost, Terrifier, Return to Nuke ‘Em High)!! In a time when monsters can seem only too real, stories that teach us the importance of facing and overcoming our demons are more important than ever before. I am honored to have the opportunity to work in a genre that not only tells these stories, but fervently pushes the boundaries of what is “normal” or “expected” in cinema. To be a woman in horror, particularly at this moment in the genre, means to be a filmmaker who tells compelling and commanding stories. A filmmaker who takes risks in the name of challenging audiences to reevaluate their domestic and personal values, expectations and, ultimately, fears. A filmmaker who embrace experiences, but also one who challenges them, because it is only in these challenges that we are able to grow and move forward as collective audience. I believe that feeling of cantharis is not only an integral part of what it means to be a women in horror, but also what our purpose is as filmmakers and storytellers. As I move forward as both, I hope that I am only given more opportunities to do just this. To tell powerful stories that inspire women- and all audiences- to be fearless. 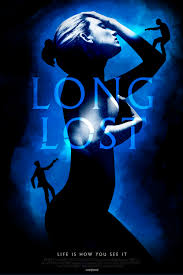 Long Lost, Starring Catherine Corcoran, Unveils Trailer Ahead of Theatrical Release! !